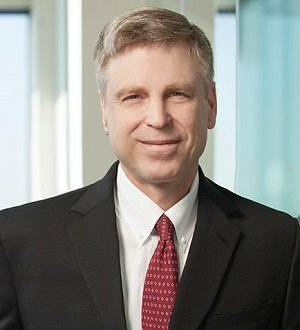 Michael Barnes has been engaged in active trial practice for more than 25 years, with a focus on product liability, trucking and transportation, toxic torts, class actions and insurance defense. Barnes is the leader of Wright Lindsey Jennings' Trial Team. Counsel for an international oil and gas company in litigation resulting from a release of oil from an interstate pipeline. Lead trial counsel in defense of chemical repackaging facility in individual, mass tort and class actions, brought by residents who claimed adverse effects following a massive explosion at the facility. Lead trial counsel for major transportation companies in defense of tractor-trailer accident cases, including wrongful death and catastrophic injury. Lead trial counsel for metal supplier in product liability litigation following nationwide recall of canned goods. Lead counsel for supplier of window coverings in wrongful death action alleging product design defects. Lead trial counsel for sports arena in premises liability litigation. Lead counsel for oil refinery in personal injury and product liability litigation. Lead counsel for several major insurance carriers in various types of insurance coverage disputes. Lead counsel for oil/gas drilling equipment company in product liability and personal injury litigation. Before joining the firm, Barnes served as a deputy prosecuting attorney (1992-93) and as an officer in the United States Marine Corps (1988-91).